So cute! Love the cow hero. The artwork is really great and the superhero cow was awesome. That is great! Never knew you could come up with fresh new ideas. Im really a fan of yours! Anyone can be a Super hero in our own way..
you have a talented and artistic mind..
may i see the other works of yours. you have excellent talent. 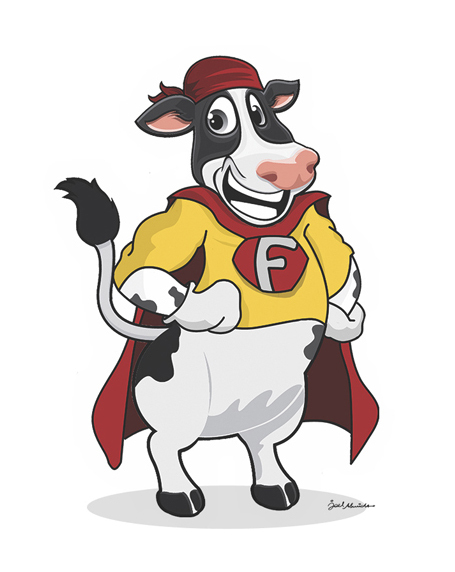 a good looking super hero cow. nice art. this is illustration is very good. i wish i was a good cartoonist like you. two thumbs up! nicely drawn. i wish i have a talent like you have.